Shoal Bay East may be the most heavily credited Anguilla beach, but I've discovered that many more have a deep love for Meads Bay, also on the island's north shore. 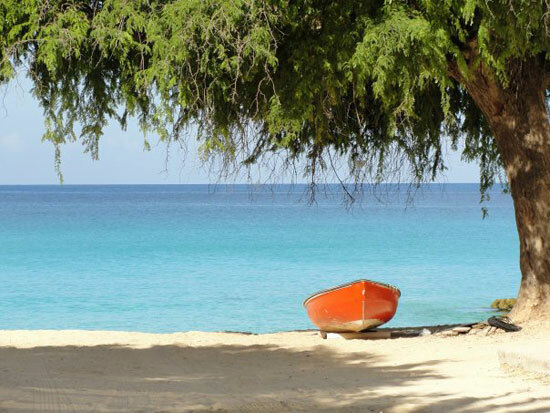 I parked on the eastern end of Meads Bay between Malliouhana and Carimar Beach Club and walked past the often photographed tamarind tree and resting boat. 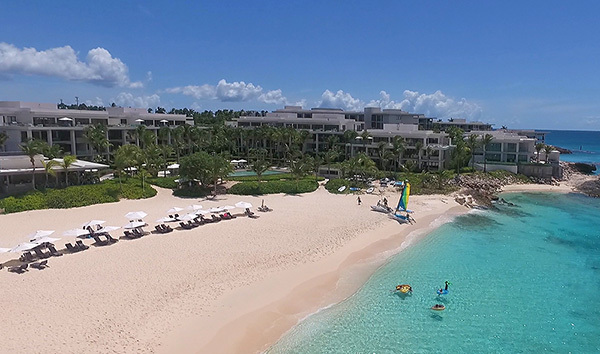 As you enter Meads Bay by the little fishing boat under the tamarind tree, you are amidst Malliouhana, one of Anguilla's most iconic luxury hotels. 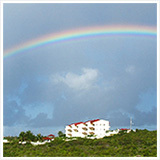 Malliouhana put Anguilla on the map back when the hotel first opened in the late 1980's. It set the pace for Caribbean luxury. Today, an Auberge Resort, Malliouhana dazzles still. 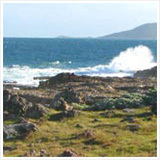 It sits right on the eastern edge of Meads Bay, a most special spot. There are plenty more very nice accommodations on Meads Bay, too. Let's check them out! First up is Carimar (seen in video below). Carimar's stark white building with contrasting dark wood, wrapped up by beautiful greenery and flowers is a very pretty sight. This moderately-priced hotel has a loyal following. While I've never slept there, I've spent time in several of the units of friends who have stayed there. They return time after time, happily. They are lovely and comfortable and if you are looking for moderate pricing and want to be directly on Meads Bay, this is your spot. 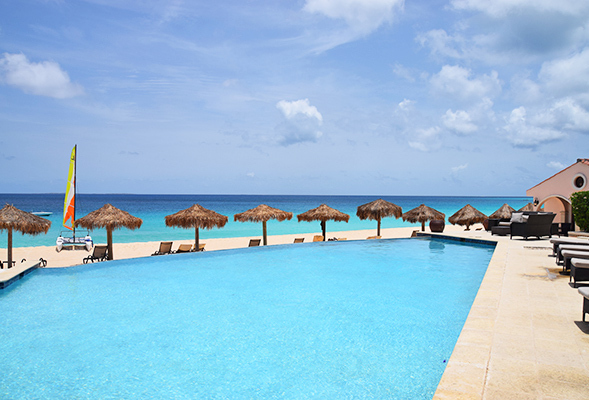 You can read more from Nori on the Anguilla hotel Carimar here. Just beyond Carimar is Blanchards. 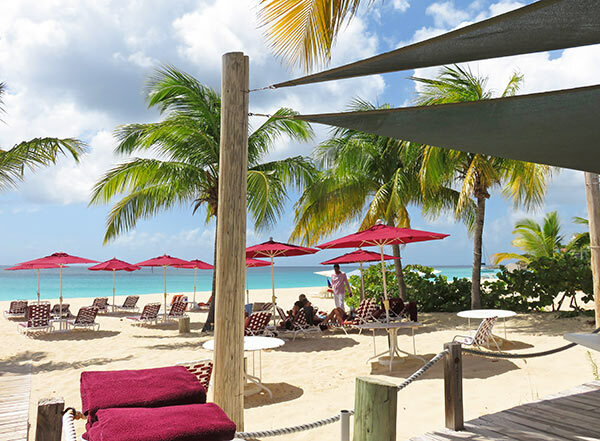 Blanchards is one of Anguilla's tenured upscale restaurants and one of the Evoy family's favorites! 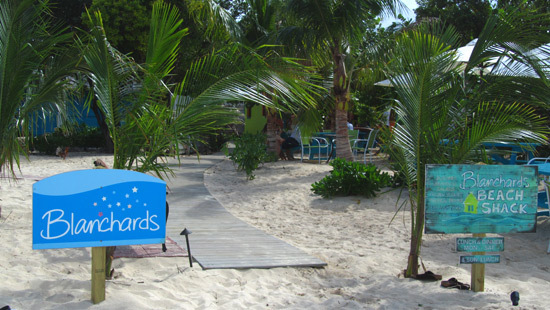 Blanchards restaurant was the original five-star restaurant on the island. 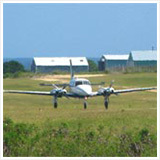 Owned and operated by Bob and Melinda Blanchard who are from Vermont, they told their story of moving to sunnier climates in "A Trip to the Beach." 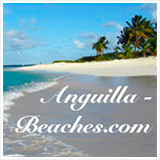 You can read more about the wonderful Anguilla book penned by the owner's of Blanchards, here. Blanchards is painted a cool blue and as nice as it is, still encourages a relaxed and comfortable atmosphere for dinner. 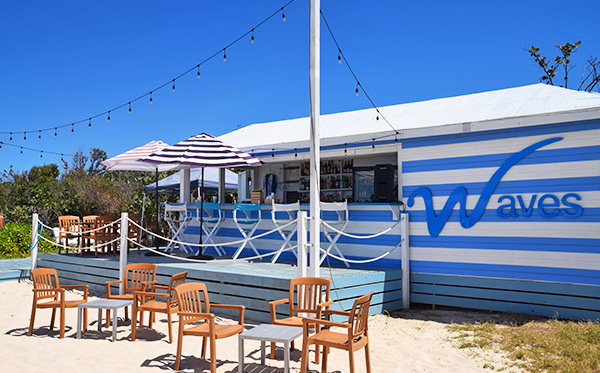 Their lunch spot, Blanchards Beach Shack, is a favorite for casual lunch that is hard to beat. Just next to Blanchards is Nathan's Cove. 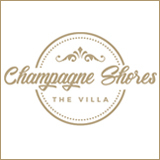 A small accommodation option right on the beach and nestled in between two fantastic restaurants. Jacala is just steps beyond Blanchard's and Nathan's Cove. Jacala is open for lunch and dinner and is often referred to as one of Anguilla's best restaurants. After Jacala, there are no more restaurants or hotels along the beach for a little ways. What you will find after Jacala? Some of the most jaw-dropping villas in all of Anguilla, including the famous Beach House where Lebron and Justin Bieber have stayed. 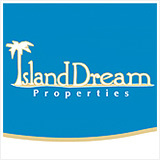 Designed by award-winning architect, Ian "Sugar George" Edwards, she is the villa of Meads Bay dreams! All of this can be yours for the right price. What a beauty! 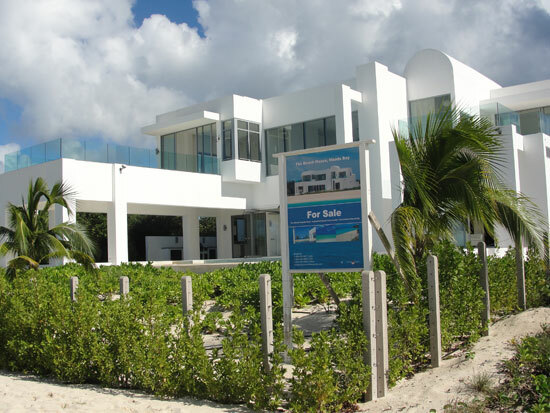 Just two doors down from Ian Edwards' famous and beloved Beach House Villa is his latest development, Tranquility Beach Anguilla. Sugar George's largest project yet, Tranquility Beach brings 15 immaculate luxury condos to Meads Bay shores. Available turn-key, with all of the bells and whistles (including professional property management), this is sure to be the epicenter of luxury Caribbean living. More on Tranquility Beach Anguilla here and via the video above. Bella Blu. Right on the sand. Continuing to walk west, next you approach Turtle's Nest and Bella Blu which are two white buildings seemingly sitting closer to the sea than almost any other buildings on Meads Bay. 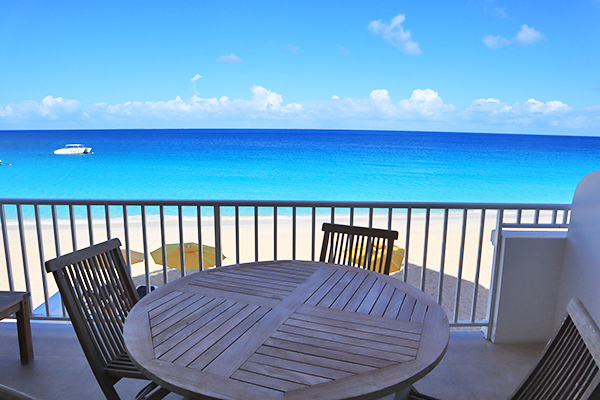 They are tall (for Anguilla) and are condo's and visitors may rent the condos and settle in for their nice expansive views of Meads Bay and the setting sun. More on Bella Blu here. Next is the building for Meads Bay Beach Villas. 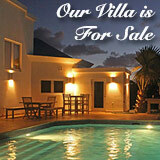 You can read more about villas along Meads Bay, here. Immediately beyond Turtle's Nest is the pretty and unique boutique hotel, Frangipani. Pretty in pink, Frangipani is a gem! Frangipani is home to the stylish, chic yet casual Petals Boutique. Petals can not be seen from the beach but is less than a minute walk from the sand as it sits right there next to one of the Frangipani pools and next to the Frangipani office. I would suggest bringing some cash or plastic with you if you are staying elsewhere and take off down the beach for a walk, Petals is worth stopping in! ;-) You can read more about Petals Boutique, here. Also at Frangipani is the beloved restaurant, Straw Hat. Straw Hat another one of the Evoy family favorites for both lunch and dinner. 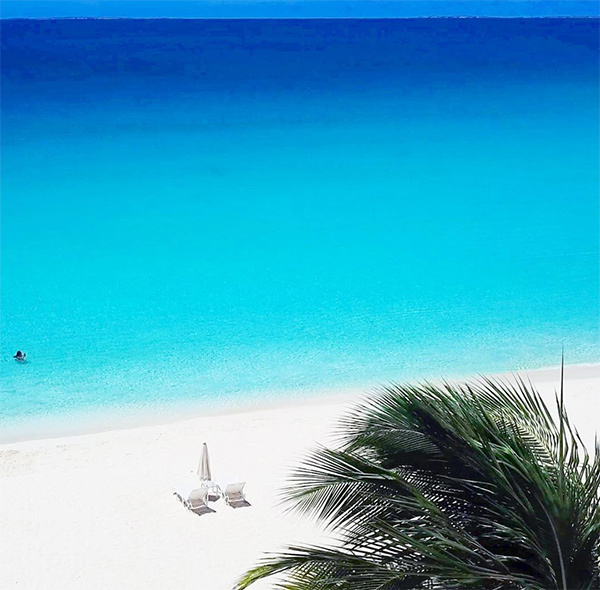 You see why so many people love Meads Bay? There are so many lovely options and we aren't even all the way down the beach yet! 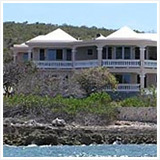 Family owned and operated, Ocean Echo has become a top spot on Meads Bay over the years. 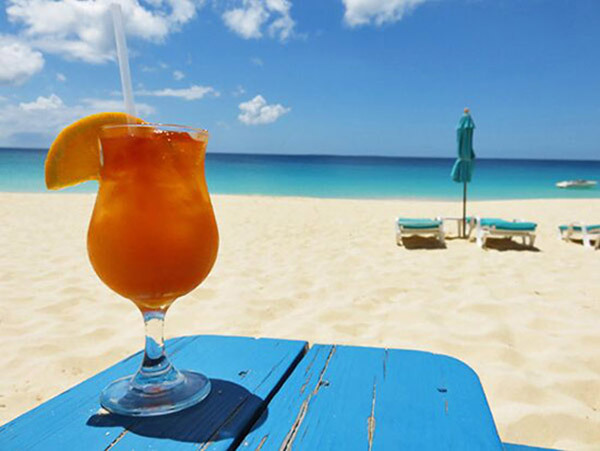 It's known for its laidback, casual atmosphere, excellent beach eats, terrific service and the best rum punch in Anguilla, the Rumzie! 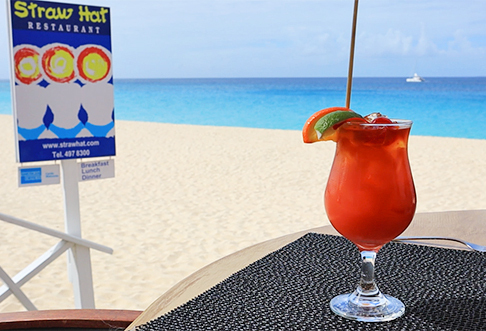 Do not miss a stop-in at Ocean Echo on your trip to Anguilla. Continue down the beach and there is the picture-perfect, sand-in-the-toes beach bar, Waves. This is a fun bar to end the day. Waves offers a terrific selection of frozen cocktails and beachy finger foods (think: oversized chicken wings, loaded fries, etc.). With a great live music line up, it makes for a super spot come sunset. I pause here and reflect because this spot is also meaningful to me. It is where Anguillian Divers enters and exits from their beach-entry dives and where started and completed my PADI Open Water Certification for Scuba Diving with them. You can read all about Anguilla diving adventures here in the Anguilla Dive Journal. Ok, refocusing. Right next to Waves is the beginning of the enormous Four Seasons Anguilla (previously Viceroy Anguilla) property which takes over the western end of Meads Bay. You would have to be sleep-walking to miss it. Posh beach loungers and umbrellas line the end of the sand here. You are also likely to see guests using kayaks and paddleboards. If you choose to adventure on to the property, you will see Bamboo Bar & Grill. Just a stone's throw from Meads Bay beach, this Four Seasons' restaurant is a sumptuous seat to a beachfront feast! More on Bamboo Bar & Grill. but you get the idea! Breathtaking!! 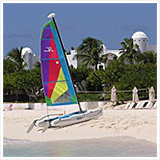 As you may know, Four Seasons covers a point between both Meads Bay and the next bay over, Barnes Bay. That is the end of the road... I mean, beach. Four Seasons is the finale and what a finale it is! The last but not least experience to make your time on Meads Bay complete is an Anguilla sunset. 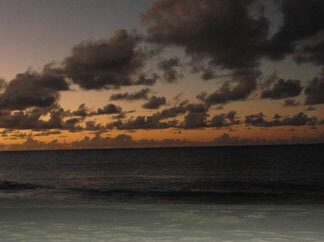 The sun sets out over the water at Meads Bay (toward the west, obviously ;-) and it is a soul-soothing sight to see. Don't miss it. 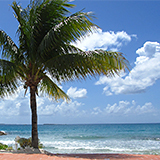 Meads Bay is truly one of the most visually impressive, wide and expansive beaches. With so many dining and accommodation options, it is no wonder it's one of the island most widely loved, and top big beaches. A word of warning... Be careful of rough seas, especially in the Winter months. As peaceful as Meads Bay can be in the summer, in the Winter (December/January), tides tend to surge, waves reaching as high as 8 feet! and where the Four Seasons loungers begin. 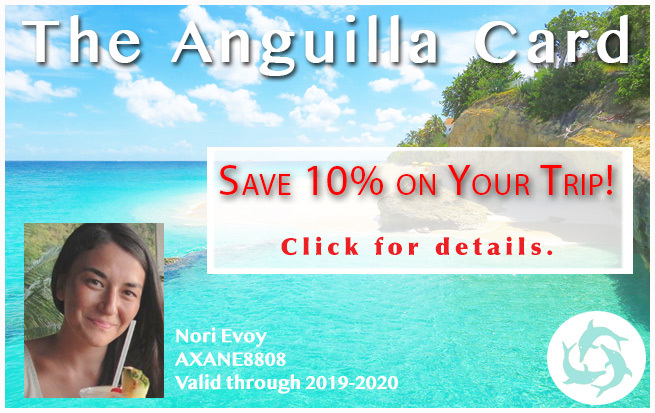 Anacaona is considered to be another one of Anguilla's boutique hotels, however it is a little more value-oriented than Frangipani. Anacaona is not easily seen from the beach, however you will see their beach chairs and umbrellas. The hotel itself is a short walk from the beach. They also have a restaurant called Firefly in case you are hungry from all of this walking! It's easy to find the walkway up to Anacaona, just look for the white-walled walkway and follow it up to the beautiful grounds of the hotel.